Being in the hospital can be scary for children and their families. Our Pediatric Chaplains, as well as our other staff chaplains and Spiritual Care volunteers, are here to offer you spiritual and emotional support. You can ask a nurse to call us, or you can call us directly at extension 4–5183. Spiritual Care is a special kind of care that connects to you as a whole person – mind, body and soul. Your spirituality is about who you are, what is important to you and what you believe as a person. Spirituality can mean you are involved in a faith tradition, but not always. Here at Upstate, whether you are in the hospital or clinic, chaplains are available to offer spiritual care. Rev. Jane E. Dasher is our Pediatric Chaplain who assesses and integrates spiritual care with Pediatrics at University Hospital. The University Hospital Chapel is located on the main floor of the hospital. It is always open. Services are held daily. Please check the worship schedule posted for specific times and types of services. There is a Prayer Book in the Chapel for you to write your special prayer requests. 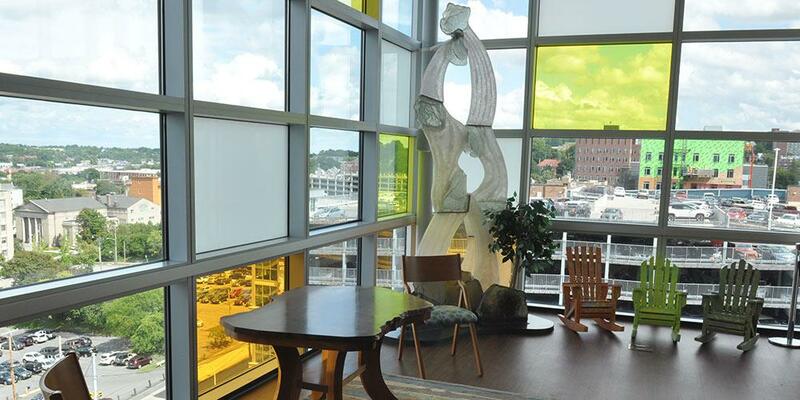 The Treehouse Chapel, located on the 12th floor of the East Tower of Golisano Children's Hospital, is always open and is a beautiful space for quiet reflection. Channel 55 is the Meditation Channel. Turn this on to experience beautiful scenery and soothing music. It’s great for relaxing! Last Modified: December 28, 2018. Contact Jenny Dickinson with questions about the content of this page.